;D MAN was I ever excited when these guys came back with this picture! These two guys headed out on a cow elk hunt with their bows this past season, and they were successful with one of my cow elk calls! This was VERY cool for me, because I have never seen an elk in the wild. We just have them on farms around here. Every time someone is successful because of the use of one of my calls, I feel like I'm a part of the hunt, so this photo means a TON to me. Any animal taken with a bow is a trophy, but to have them take one with a bow, and with one of YOUR calls has got to be a real treat for a call maker. I feel the same way you do when I get photo's of hunters taking game with one of my calls! ;) Thanks for the kind words Al. Having folks like you helping me figure out how to make an elk call sure helps! Boy with all the success people are having with your calls, you must be excited. keep up the good work with your call making. Looks like you got it down. Thanks for the kind comments. I feel like I've got LOTS of room to grow. I'm sure trying to make the best call I can though. The thing that is most exciting about being a call maker, is to have an animal taken with one of your calls. I know that's how I feel, and my calls only bring in little ol coyotes. Nothing as magnificant as that beautiful Elk. I can only imagine how you must be feeling. Great work. Keep posting the wonderful pictures so we can all get jazzed up about call making. Keep posting the wonderful pictures so we can all get jazzed up about call making. I get FIRED UP about getting in the shop after someone sends me an awesome hunting story with a photo attached. 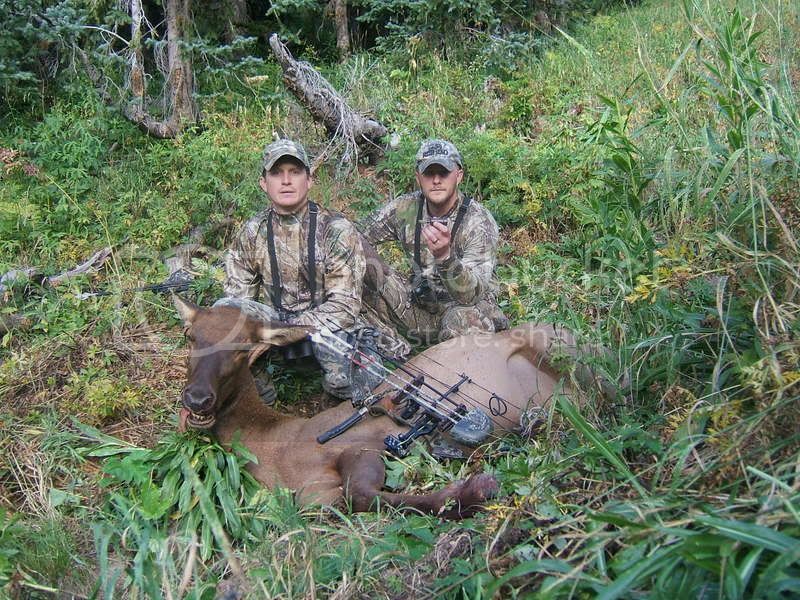 It has been several years ago but two guys i didn't even know at the time used one of my mouth calls to bugle in two elk and shot them with a bow. I know exactly how you feel Parker. That is the most rewarding aspect of being a call maker. Man oh man. Sending those two elk calls out a couple days ago with high hopes for them got me thinking back about this first cow being killed with one of my callers helping out. I'm sure looking forward to the fall!